Welcome at Domaine de Gil! In the heart of the Southern Ardèche, in the Natural Park des Monts d’Ardèche, close to the Ardèche gorges, at 1.5 km from the spa and holiday resort Vals-les-Bains and 3 km from the lively market town Aubenas, Domaine de Gil, 4.5 hectare large, is located on the banks of the river Ardèche. Domaine de Gil is a family 4 stars campsite (80 pitches), with a beautiful river basin, surrounded by quiet natural parkland. 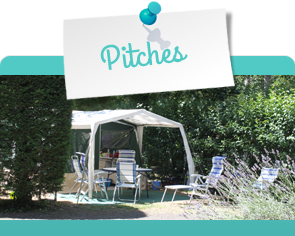 At the campsite you find a natural beach with swimming possibilities in the river Ardèche. The campsite is very suited to families with children. 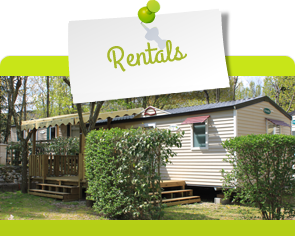 The campsite Domaine de Gil, 4 stars, in Ardèche, offers a large choice of mobile home for your holidays….